Dealing with the vernacular is important in several respects: documentation, history building, learning, and employing the inherited wisdom to future designs. Documentation in itself is a way of re-reading the history of events and artifacts. Until the post-Structuralist world views and Deconstructivist debates of the philosophers and architects of the late 20th century, history was assumed complete, by and large. This history, which was firmly rooted in the Western consciousness, was determined by the Early Christian philosophy and Anglo-Saxon logic. Thus it consisted of a unified and non-negotiable rightfulness domineered by the West. Understanding has now changed due to discoveries of “other” histories and other cultures. The orient, the north and the south are awakening to the idea that there are other narratives. The discovery of especially the unique aids into the notion that each nation, each region and even site has had developed its very particulars. This positive grounding encourages both the study of particular geographies and cultures on the one hand, and operates towards rendering more complete and reliable picture of the past in general, and history of building, in particular. Secondly, and even more importantly, the study of the vernacular is crucial today in reviving our thoughts about what really architecture is and in contemplating about what it should be. Put differently, the importance of studying other cultures and their building habits lies in its making us space/time conscious; it helps understand space/time relations, yields clues to designing both effectively and affectively. 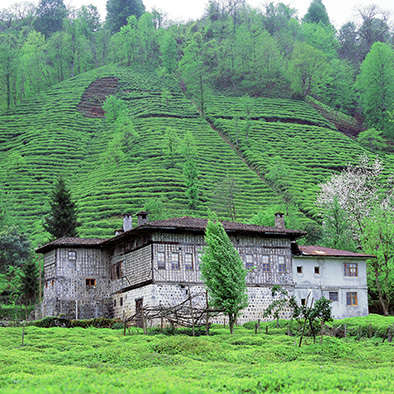 In this context this lecture dwells upon the vernacular houses of the Eastern Black Sea Region of Turkey and elaborates on their physical properties, technology, socio-cultural and psychological aspects. Prof. Dr. Şengül Öymen Gür a graduate of the University of Pennsylvania, GSAS, (PhD-1978); Fulbright Scholar (1972-77); DAAD fellow (Berlin, 2002; 2008), was the head of Architectural Design at KTU, Trabzon, Turkey until August 2010. She is now at Beykent University, Istanbul. Dr. Gür, is the member of CICA and WA, frequenting member of international associations (IAPS, DRS, CIB W84, IAHS, etc. ), also a member of the Turkish Chamber of Architects and the honorary member of BTI (Bund Türkischer Ingenieure und Akademiker e. V) and The Sustainable Environment Association [SEA]; reviewer of SRE, e-Books, JADE, MEGARON, Child Indicators Research; and Gazi, Uludağ,Trakya, A/Z and Anadolu University Scientific Studies Journals. Areas of research interest are: architecture/design philosophy, theory & criticism; environment-behavior research; house culture; and architectural education. She is the author of 24 books and over three hundred international and national articles.